This spectacular basket of goodies really has the wow factor! 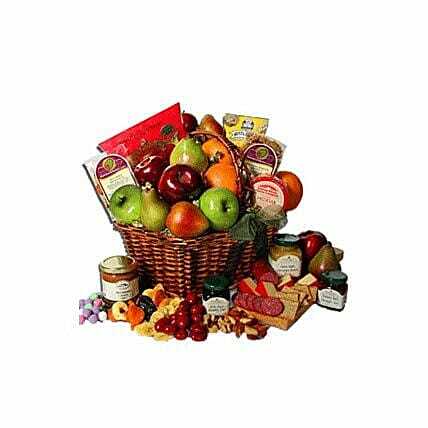 There is assorted mixed seasonal fruit and delectable Hershey's milk chocolate almonds. Waterthins fine water crackers are perfectly combined with President French Camembert cheese. Finally there is premium strawberry, raspberry and orange conserve which can be savoured for weeks after the gift is received.